The full moon, as I saw it yesterday at 2.30 am when I was walking home from a night out, was the usual small, white disc high in the sky. Tonight, walking home from a dinner at 10 pm, the full moon was near the horizon, looming large and peach-coloured. And yet, if I were to hold up a 20 cent coin both times, I would find that the moon was, in fact, exactly the same size. The moon is always the same size, no matter where in the sky it is. This is known as the Moon illusion, and it drives me nuts. While rationally I know that measurements don’t lie, I still find it incredibly hard to accept that the apparent, obvious, undeniable size discrepancy is… all in my head. Usually I enjoy optical illusions, because it’s fun to accept that some things are not what they seem, and learn which perceptual quirk is responsible for that. However, in the case of the moon, my eyes are deceiving me, and I don’t have a good enough explanation for that. It’s unbelievably frustrating. This illusion has been known since ancient times, and various explanations have been proposed, but they all fall short. Is it because things on the horizon make it look larger in comparison? No. Is it because the Earth’s atmosphere magnifies the moon when it’s closer to the horizon? No. Is it because of the Ponzo illusion, where things appear larger due to perspective? Or is it the Ebbinghaus illusion that forces objects of the same size to appear different based on what they are surrounded with? No, no, and no. 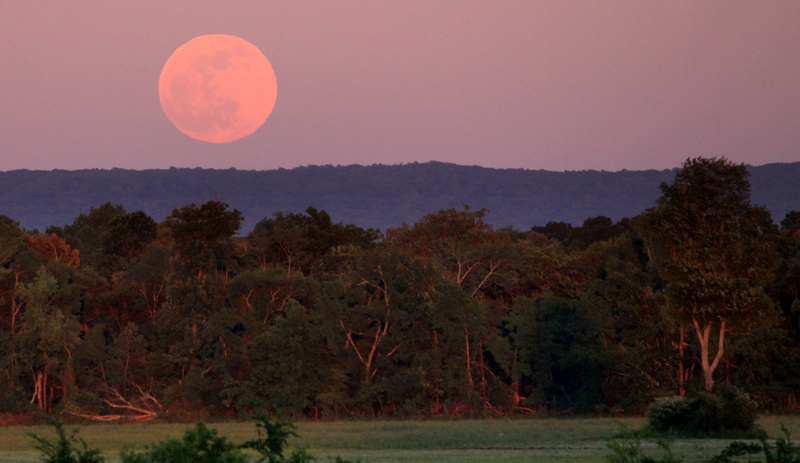 In fact, we don’t exactly know why the Moon illusion appears the way it does. And there is an excellent TED Ed animated video which explains why that is the case. It’s probably the most satisfying explainer I have seen on the topic. Perhaps once we know the answer, it will be less frustrating. Until then I will keep grumbling about it every time I see a full moon. I just can’t help myself.